A picture shows two artifacts from the “Benin Bronzes” collection, a long-beaked bird and the monarch’s bell, returned to the Benin kingdom by a British pensioner during a ceremony in Benin City, Nigeria, on June 20, 2014. The Benin bronzes are universally recognized as a towering achievement in the history of art. Artists of the once-mighty Kingdom of Benin, in present day Edo State, Nigeria, honed sophisticated techniques over centuries to craft detailed depictions of life in the Kingdom, from court scenes to foreign soldiers. Thousands of the finest examples went on display at the palace of the king. The collection was looted wholesale in 1897 when the British army sacked the palace and razed the kingdom in a punitive expedition. The bronzes were sold and scattered across Western museums, where they met with astonishment and prompted revisions of racist assumptions about African art. Since independence, the Nigerian government has intermittently pressed claims for restitution of the bronzes, which the museums have resisted. But a solution to the impasse may be at hand. The Benin Dialogue Group (BDG) was formed in 2007 with the task of facilitating a permanent display of bronzes in Benin City. The BDG bought together representatives of Nigeria’s National Commission for Museums and Monuments (NCMM), the Royal Court of Benin, and several European museums with bronze collections. 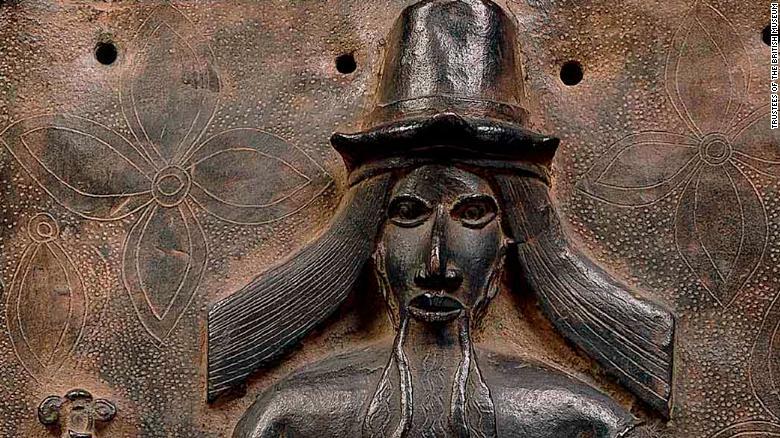 The most significant artworks are housed at the British Museum in London and the Ethnological Museum of Berlin. The group is now exploring the possibility of loaning artifacts back to Nigeria. 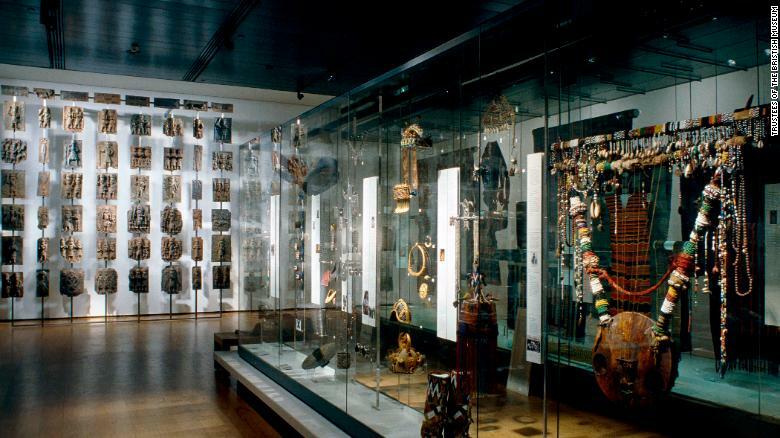 A spokesperson for the British Museum said a recent BDG meeting ended with a proposal “to work towards a permanent, but rotating, exhibition of loaned objects” to Nigeria. The British Museum and others are open to contributing to this collection. Negotiations are at an early stage with no timescale established. A loan arrangement may offer a way of bypassing the fraught issue of ownership. The British Museum has rebuffed claims for permanent restitution of the bronzes, citing laws against museums disposing of assets. Officials have also argued the Museum can offer greater access and superior curation for the bronzes as justification for keeping them in Britain. “The Trustees’ view is that there is great value in presenting objects from the Kingdom of Benin in a global context, alongside the stories of other cultures,” the Museum spokesperson said. 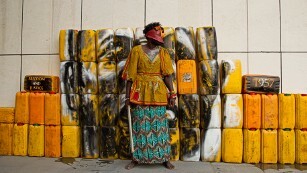 Osagie does not accept the Museum’s claim to the bronzes. Osagie adds that the Nigerian government could pursue compensation for the century the bronzes have spent abroad. The bronzes’ passage home could be smoothed by a proposed new ‘world class’ museum in Benin City. Sixteenth-Century Head of a Queen mother of Benin loan to the Royal Academy of Arts in London by the National Commission for Museums and Monuments returned to Nigeria on January 16, 2013. 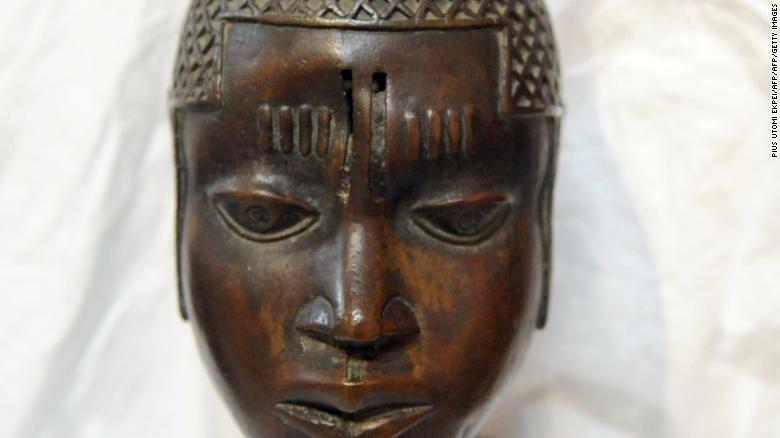 The case of the Benin bronzes could set a significant precedent. Many museums in Britain and Europe hold valuable artifacts seized in colonial times and face mounting pressure to return them. Loans could offer a release valve. The Ethiopian government is seeking the Magdala Treasures, including ancient jewelry, clothing, and manuscripts, taken by the British Army in 1868 and now held at the Victoria & Albert Museum in London. The museum’s director Tristram Hunt has proposed a long-term loan of the artifacts. The Egyptian government is pursuing a loan of the Rosetta Stone from the British Museum, which has offered to loan the Elgin Marbles to Greece. But few governments have been willing to weaken their claims to lost treasures by accepting a loan deal. Western political leaders are also voicing support for permanent restitution. With growing demands from dispossessed countries for the return of artifacts and increasing recognition of the dubious provenance of such artworks in former colonial-power nations, museums face a struggle to justify continued ownership of contested collections. Whether through permanent restitution or creative compromise, many stolen treasures could be heading home.